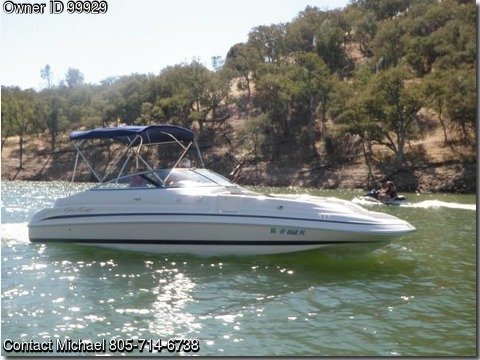 Boat is located in Arroyo Grande,California.Please contact the owner @ 805-714-6738…Beautiful 1998 Christcraft Sport Deck 230. Purchased new in 1998 and very well maintained. Less than 300 hrs. on boat and motor. Volvo Penta dual prop out added 3 years ago with only 50 hours on it. 350 SBC fuel injected 295 hp motor. Lots of extras included some brand new and never installed. Boat has always been garaged and covered.